Croydon born cook and food writer Rachel Khoo bakes a mouth-watering savoury cake with unusual ingredients. Her Parisian kitchen may be small, but even the tiniest oven doesn’t stop Rachel from inventing remarkable recipes. 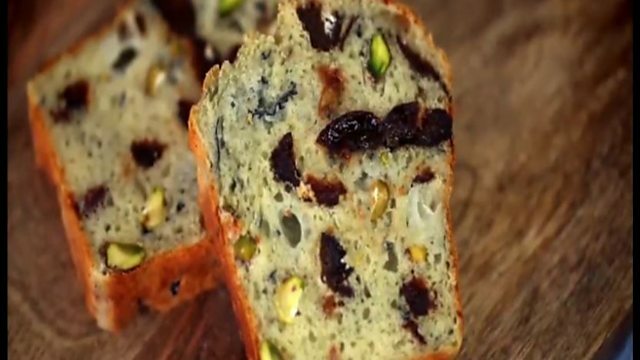 Trained chef Rachel cleverly combines salty Sainte Maure goat’s cheese, sweet pistachios and juicy prunes to make a distinctive French cake that’s ideal for a picnic.